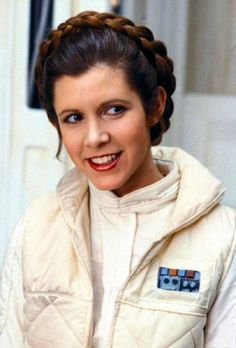 Today the was a disturbance in the Force when we lost everyone's favorite princess. Carrie Fisher, the iconic Princess Leia, passed away. She had had a heart attack a few days ago while on a plane. From what I could based on what I've read, it didn't look good. *sighs* My & I'm sure everyone else in the fandom's thoughts and prayers are with her family & friends. You'll live on in our hearts, Carrie!